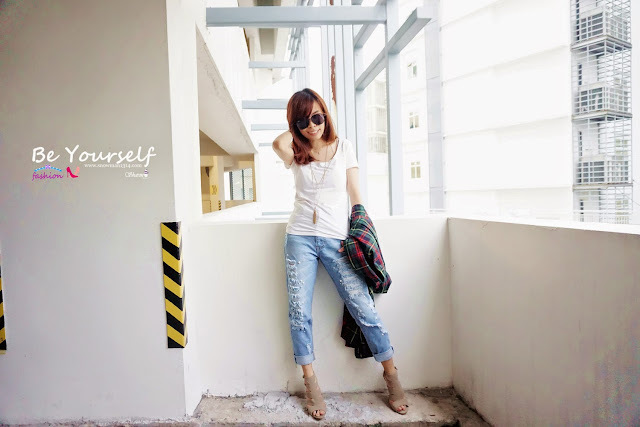 Finally I can write this fashion post, I have keep the post for 2 weeks and finally I can share with you guys! 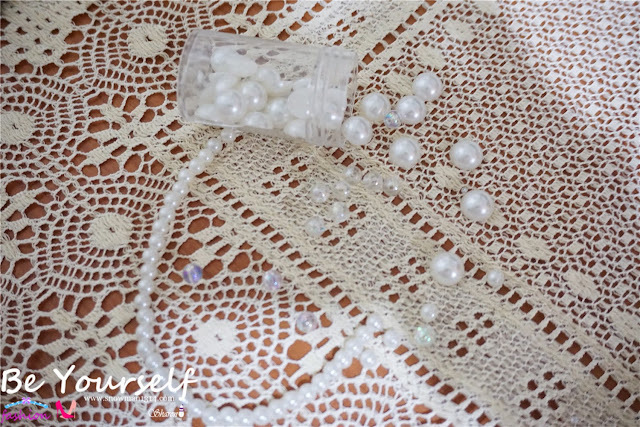 I have my first lookbook video by the end of the post. Hope you guys can read patiently until the end. This is my second ripped jeans and it was light denim color. 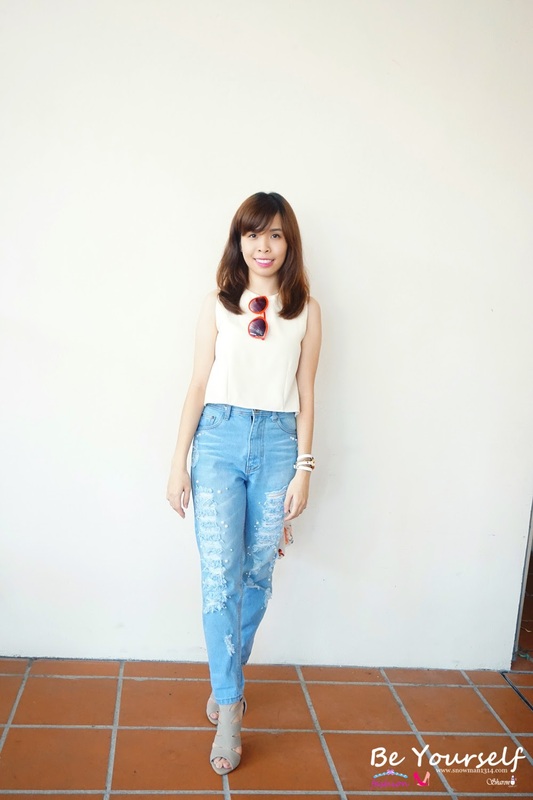 The first ripped jeans I own is in dark denim color that I bring and wear it to Bangkok. This time I want to get a light color denim ripped jeans and did a little DIY on this ripped jeans. I use pearls in different sizes and sew it on the jeans. 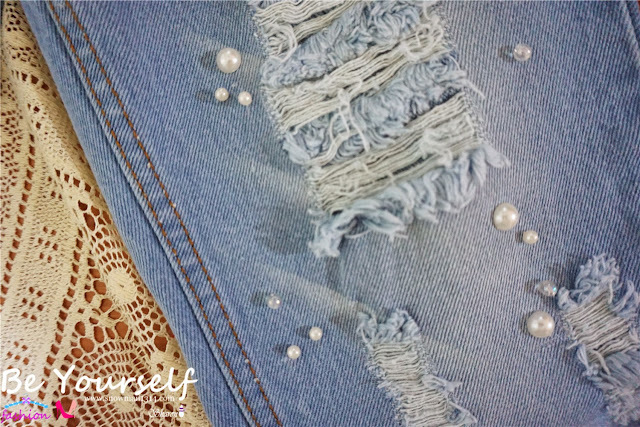 I saw this design with pearls on the ripped jeans in Taiwan Outfit apps. 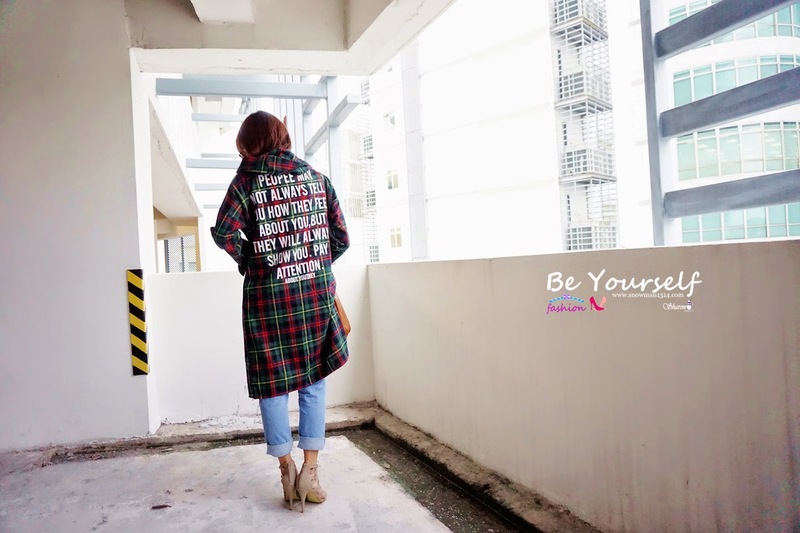 I really love the design plus I also don't want waste too much money to buy cloths from Taiwan. 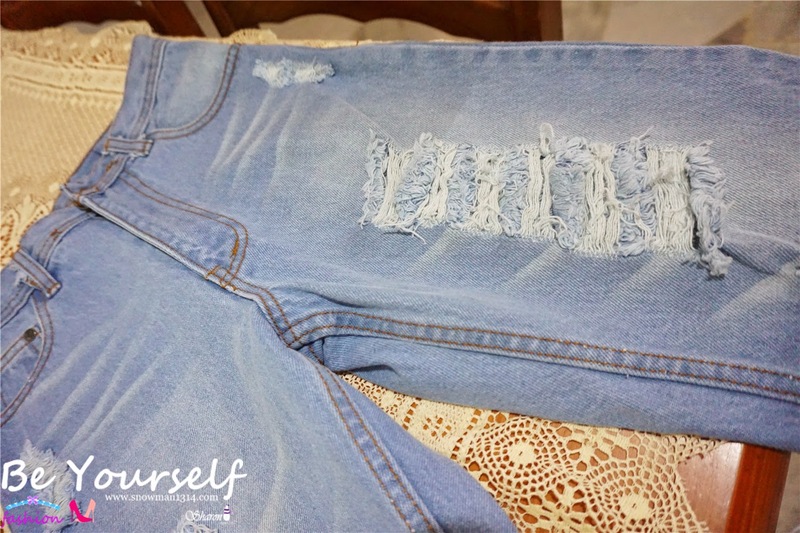 Finally I came across this online boutique - Blaqmagik LVRS and they sell the ripped jeans with the color and design I want. 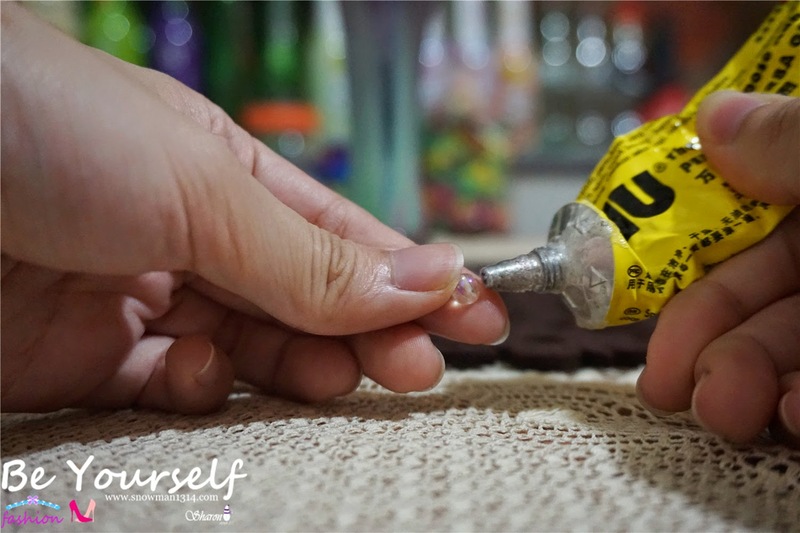 I quickly bought it home and did a bit of DIY on it. Turns out I am quite happy with the result. I decide to come out with a video and lookbook series about this ripped jeans! The color might be different because of my house lighting. The color should be light denim color. UHU Glue and Pearls from different sizes. I use Uhu glue to stick and fix the position of the pearls on the ripped jeans. 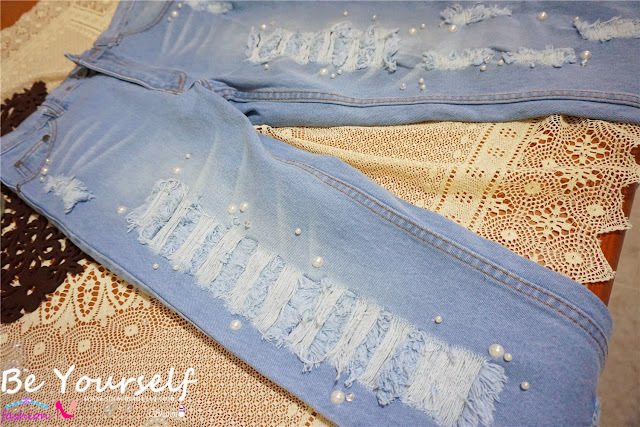 Use uhu glue to stick and hold the position of the beads on the jeans. 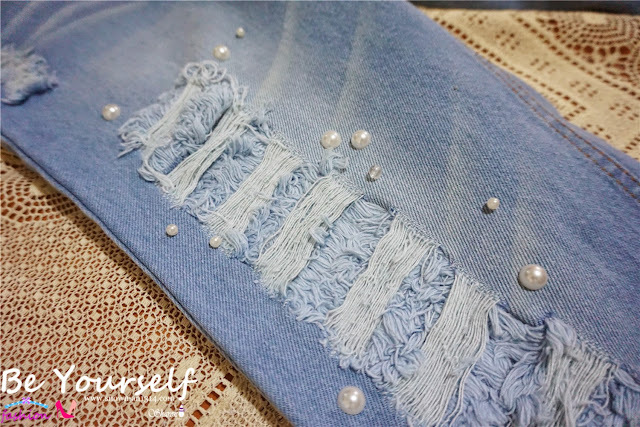 Detail look of beads on my jeans. 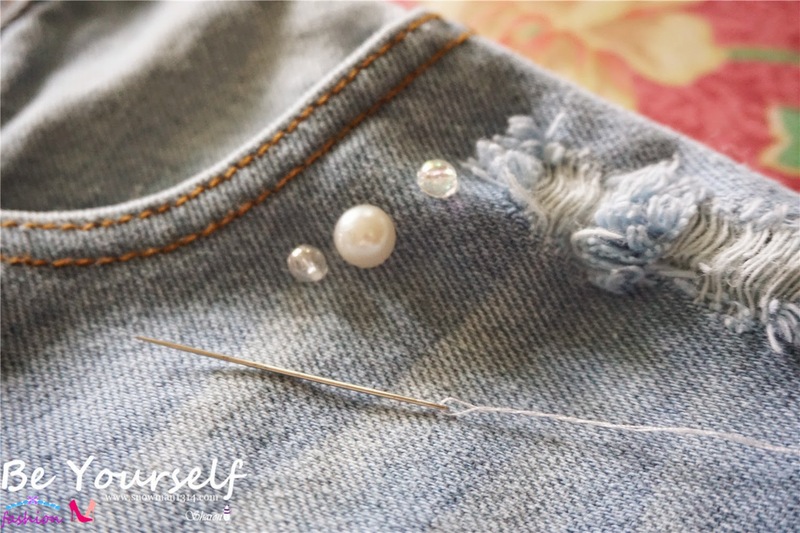 After you position the beads is time to sew it on your jeans! 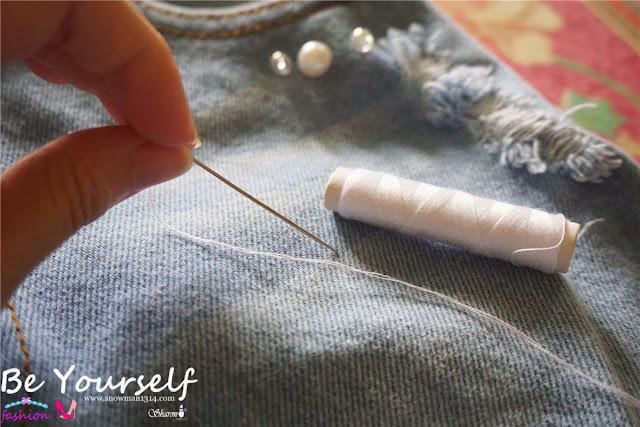 Needle and Thread. 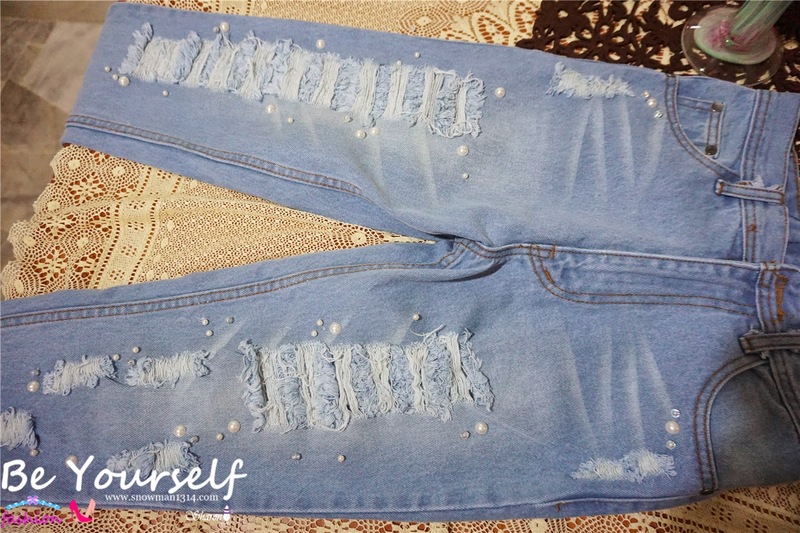 Next I will post my 3 different outfit how I pair it with my ripped jeans. 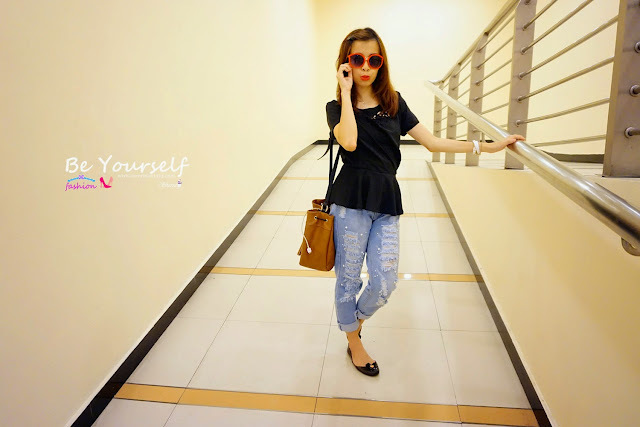 Basic top is a must since it can matches with any pants or shorts. 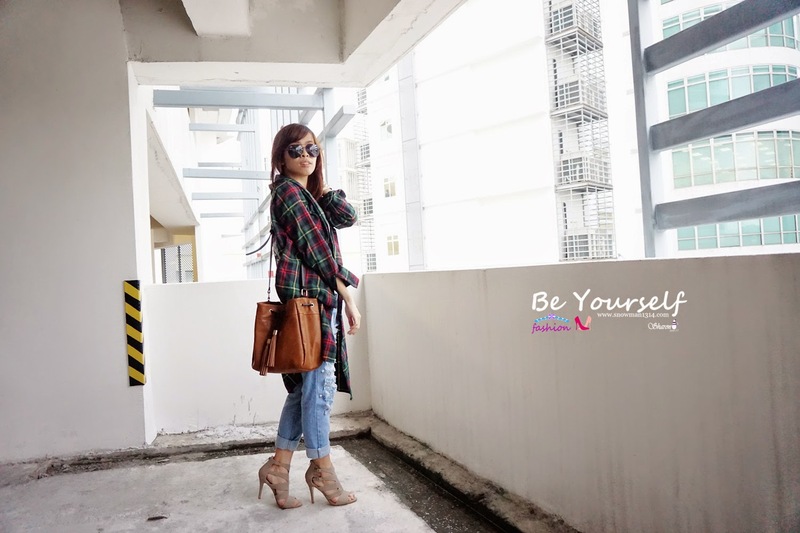 If you think basic is quite boring, try wear a outer layer to style up your look. Second is Black top. Black and White color always looks good with any outfit. 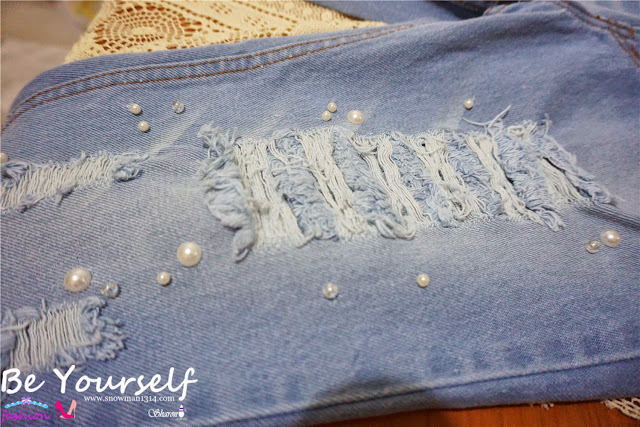 Formal top can also be wear it with a ripped jeans to create a casual look. Sunglasses is nice accessories too. The third look I go for a Feminine Look. 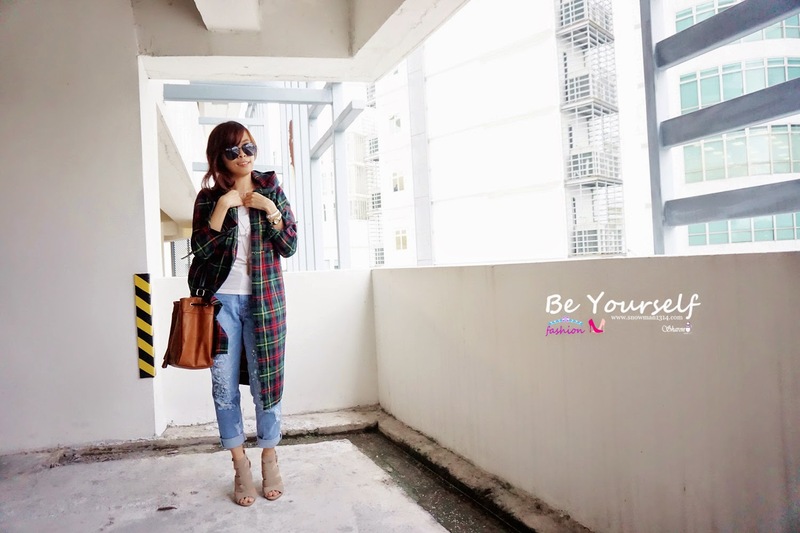 I flip down the trouser leg and wear heels to create a tall and slim look. I love this top with the flare behind. 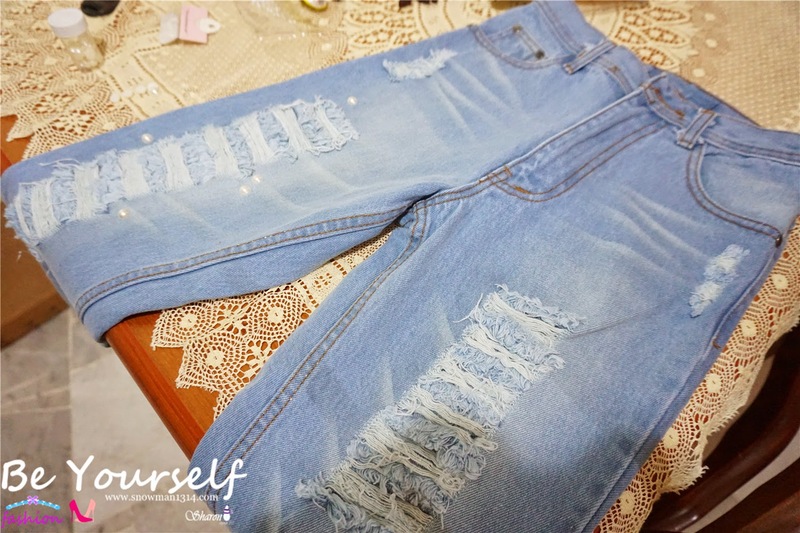 Hope you guys love this post and how I DIY my own ripped jeans. 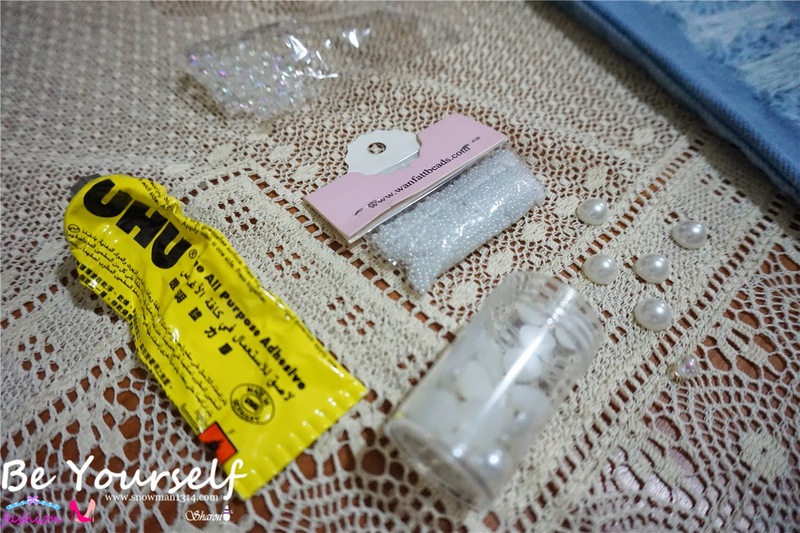 Its super easy and you can always do it on your own. 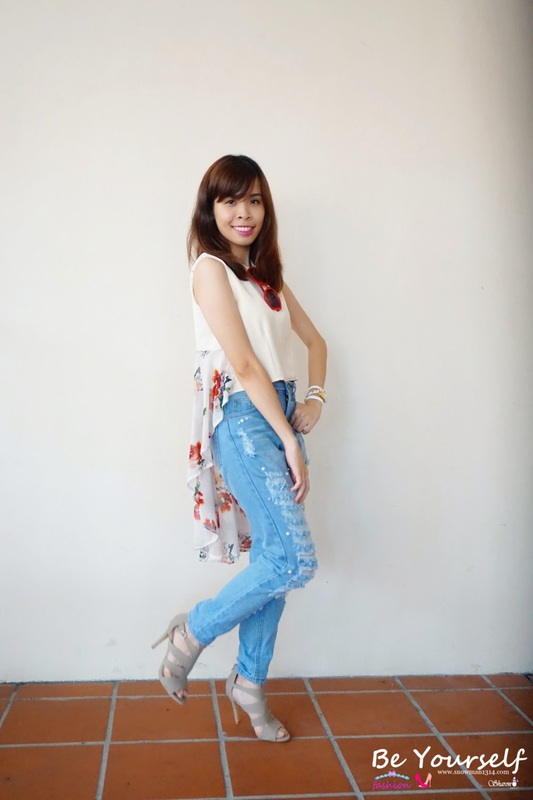 For more details of the outfit details, please do watch my first lookbook video on my Youtube Channel. Since it was my first appearance in video, I was quite awkward and hope you guys don't mind about it.